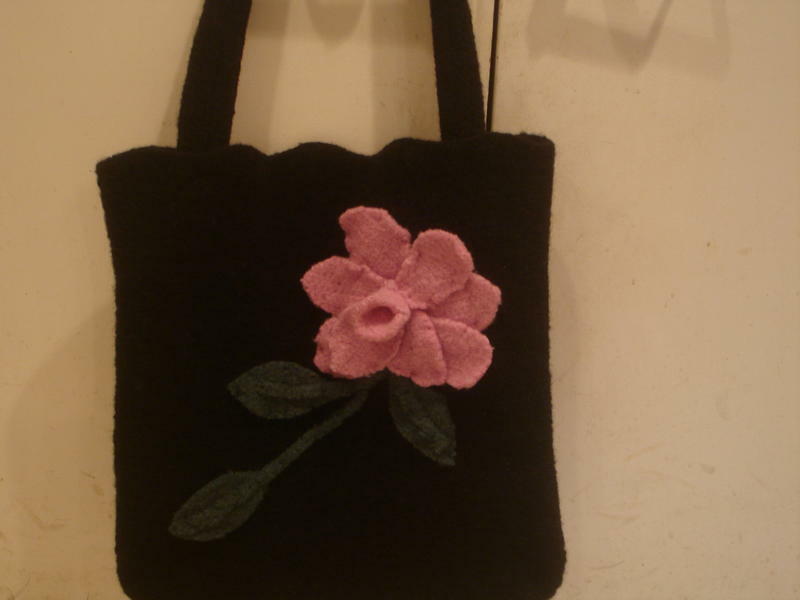 This is my first felting project, and it was SO MUCH FUN! I just love the process and am totally thrilled with the way my tote came out! This will be going to the fair next week, so hopefully the judges love it as much as I do. 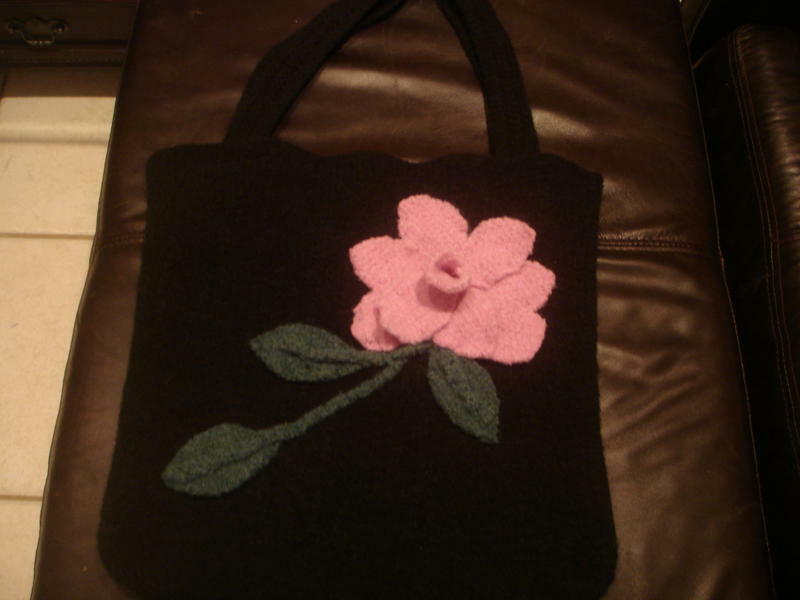 The pattern came from The Color Book of Felted Crochet and is called Peony. The book is by Amy O’Neill Houck and Stina Ramos, and has so many beautiful felted patterns that I can’t wait to try! I changed the handles, as with a tote this big, I wanted to carry it over my shoulder. I will be lining it this week as well. Thanks for looking. Oh, my- that is gorgeous!! Sure to be a winner at the fair!!!! I love it.. The flower is lovely too, nice accent! All I say is "WOW"! That is gorgeous! It's beautiful! You did a wonderful job making it.